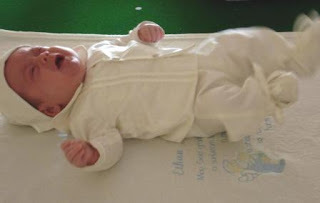 Yesterday, I have received the photos from Baby E's Christening Day. 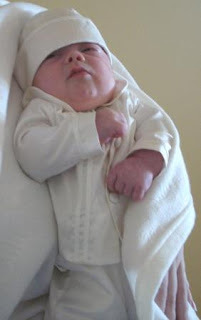 A while back I have posted his handmade silk christening garment on my blog. Do you recall the suit in the massive size of 0000 ? This is the young man .... Baby E is so precious, don't you agree ? 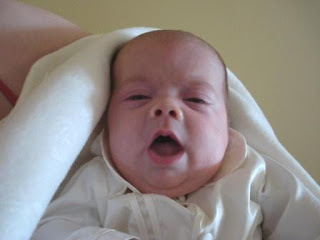 I would like to say Thank You to Emma for allowing me to share her son's Christening Day photos with you, my readers.